Last Thursday despite a gloomy and hazy looking day, I decided to try out my new camera, the Canon 6D. I upgraded from a Canon 7D and was eager to not only try out my ultra wide lens with this new full frame camera, but also to practice with my ND filter. So, regardless of the lack of movement – in the water, the clouds and indeed the air (it was a particularly muggy day) I doggedly ventured to the Thames Barrier with my friend, Louis Amore. He and I wanted to see if we could capture some of the motion blur effects you can get on clouds and water with a 10 stop ND filter and as this would be the first time I used my ultra wide lens with my new camera, I was eager to go ahead -despite the likelihood of mediocre results. 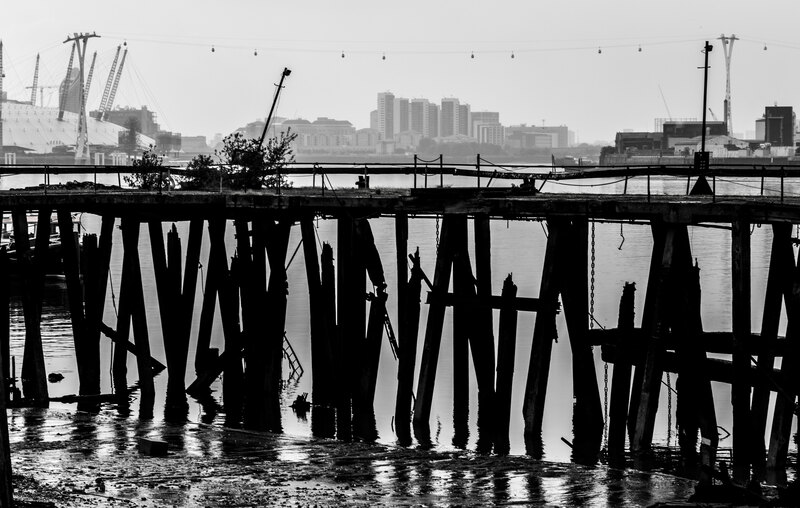 We walked through Greenwich and took the river taxi to North Greenwich by the O2 which is about a mile short of the Thames barrier, but a pleasant walk along the Thames Path to get there. 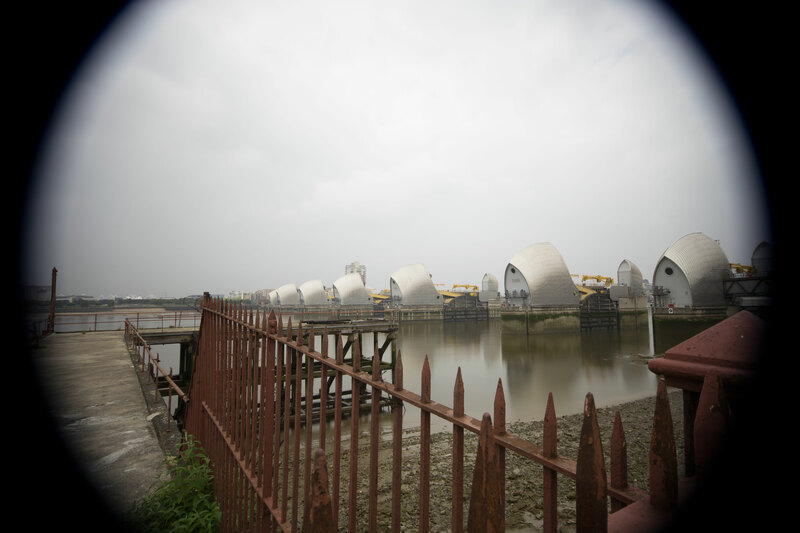 The Thames Barrier is London’s flood defense; it is designed to protect London against a very high flood level – when the water rises by around 16ft the barrier’s closure mechanism is triggered. This happens a few times a year, although concern has been increasing with regards to the Barrier’s sustainability given the ever increasing sea levels due to Climate Change. The Environment Agency, however, does not have any plans to replace it until 2070. It was opened in 1984. Attaching the 10-20mm Sigma lens to the 6D gave nothing away about its incompatibility; indeed it was only after taking a couple of shots I noticed a black circular frame, like a heavy vignetting effect on each photo. Asking Louis what it was, he realised that the lens was designed for a crop frame camera, and the black circle was the edge of the inner lens showing through on the full frame sensor. Devastating! Not only is my favourite lens unusable with my new camera, I had just bought an ND filter too. Below is an example of what happened to my photos.. This is what happens when you use a lens designed for a crop frame sensor on a full frame sensor. 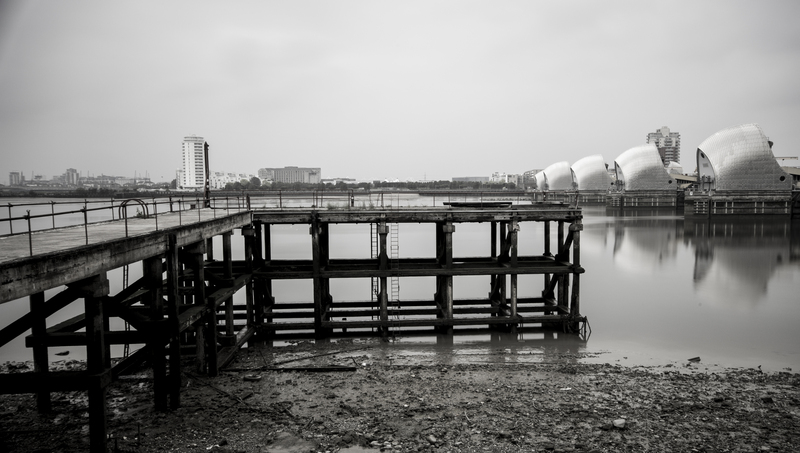 The Thames Barrier – the still water effect achieved with a 10 stop ND filter on a 25 second exposure. A view of the Dome and Canary Wharf in the distance – the haziness of the day lends to the rather pleasant effect on this capture. And this one, also taken with the 100mm macro – not a landscape shot I would have expected possible with such a lens – not to mention the unique compositional challenges and as such unusual results it produces on otherwise possibly blander versions of the landscapes I would have achieved by using a wide angle lens.. I am very glad that through necessity, I discovered these possibilities! 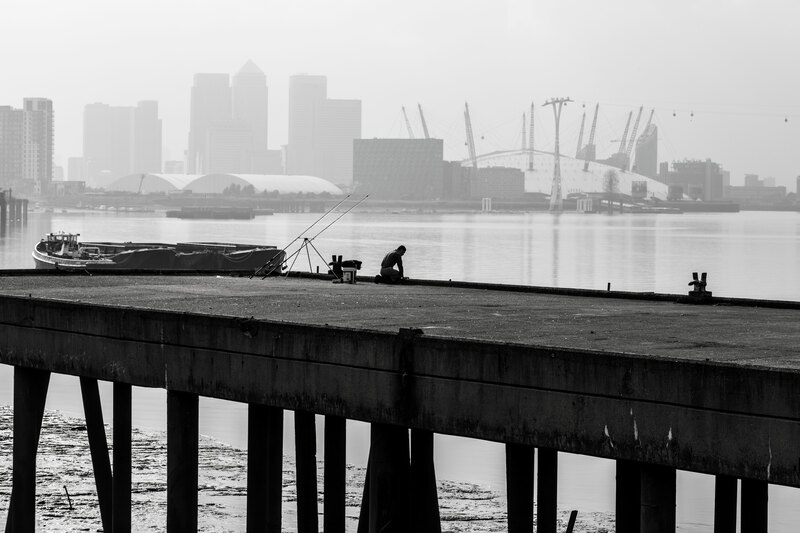 A fisherman on the river bank; the Dome and Canary Wharf offering a fitting backdrop with the haziness of the day. 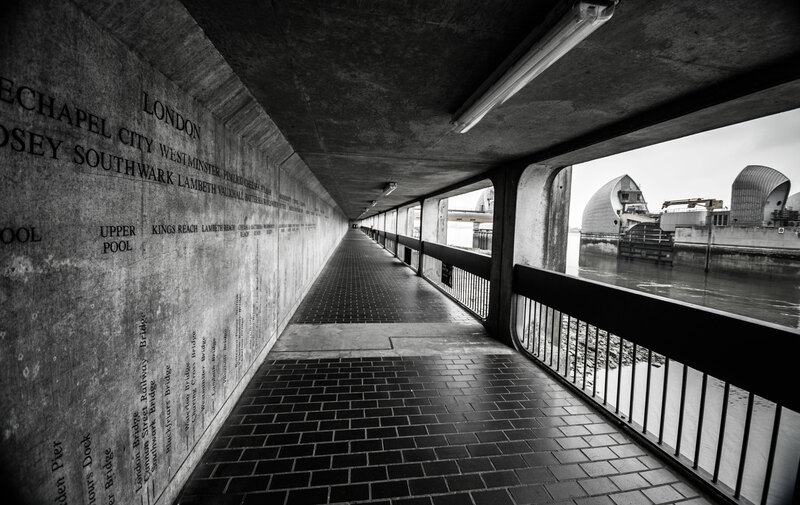 And finally, the Thames Barrier Walkway – great for setting up your tripod and taking your time with composition and long exposures required with the ND filter – just take note that it gets locked at 5pm on weekdays and you will get chucked out!